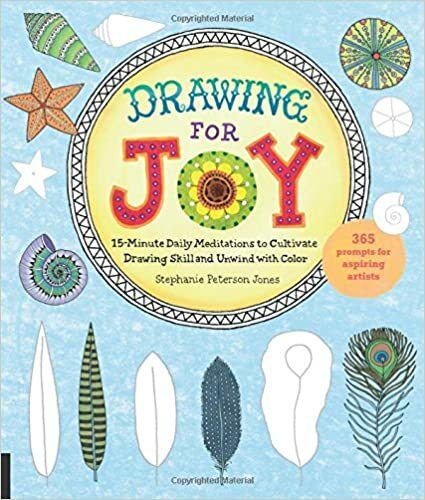 Drawing for Joy gives readers an accessible series of 52 week-by-week exercises designed as a low-stress way to build a successful daily drawing practice in just 15 minutes a day. The exercises teach readers how to draw by exploring line, texture, pattern, and color. Author and illustrator Stephanie Peterson Jones begins with basic information on the required materials for completing the exercises and essential techniques and strategies for readers to use when coloring their creations. The exercises start with a focus on simple shapes such as circles, squares, and other geometric textures, then progress gradually toward creating more realistic motifs, including florals and other natural shapes, all built with line and pattern. Stephanie Peterson Jones is a certified K-12 art teacher who loves teaching art to children and adults. She loves to work on community art projects that encourage kindness and compassion and started Art & Kindness, LLC with her husband following Hurricane Sandy. Cassandra's review- The book has so many wonderful tips and ways to create, that my family was able to enjoy it for a few hours. I think it will help anyone no matter what skill level, to be able to draw in new ways.